You are here: Home / News / CONGRATULATIONS ALYSSA METTS!!! Alyssa just graduated from Clear Lake High School in Texas and has started her first year at Texas A & M Corpus Christi. She was involved with the National Technical Honor Society, Treasurer for the Interact Club (Rotary), HOSA (future health professionals) Interact Club, played volleyball and enjoys art, exercise and volunteering during her free time. She was diagnosed with Systemic Lupus Erythematosus the summer before she started her freshman year in high school. During volleyball practice she noticed joint pain and swelling but continued to push herself. But as she continued to practice there was definitely more pain. Her pediatrician had told her everything was normal then she started having more problems. Severe headaches, brain fog, psoriasis and a butterfly rash were things that couldn’t be ignored. Having a family history of autoimmune disease alerted her mom to take her to a rheumatologist for further testing. Alyssa has always worked hard and even considers herself to be an overachiever. Experiencing fatigue and difficulty focusing on her classes was a challenge. She discovered that she had to study harder and much longer, take additional notes and figure out creative ways to study to keep performing well in school. She requires extra rest and will decline social invites to do what’s best for her and her body. Since being diagnosed with lupus her focus in college will be in health care. She has chosen to use her life with lupus to help others and make it a positive experience for herself!. 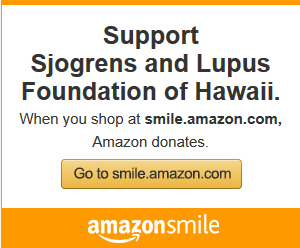 Together the Sjögren’s and Lupus Foundation of Hawaii with the Lupus Inspiration Foundation for Excellence (L.I.F.E.) are happy to support and nurture our future leaders living with lupus every day! Im having problems with your website. What is the calendar of meetings and events?